Some internet mapping sources show Fish Rock Road as being the best way to get here. Wrong! Fish Rock Road is 28 miles of narrow, winding dirt road that takes over an hour to drive in a sportscar. This road is not recommended for trailers or motor homes. A. Take highway 101, to River Road ( to Guerneville ), continue onto highway 116, then exit to Jenner on highway 1. Head North to Anchor Bay. B. Take highway 101, to highway 128 ( to Boonville ), continue to highway 1, and then head South to Anchor Bay. The instruction below describe the best way to get here. If you don’t like Highway One, maybe you’ll come back as a bird in your next life! Drive north on Highway 101 to the Washington Street exit at Petaluma. Turn left and head west. This street will change names to Bodega Avenue, Valley Ford Road, and eventually merge to become Highway One. 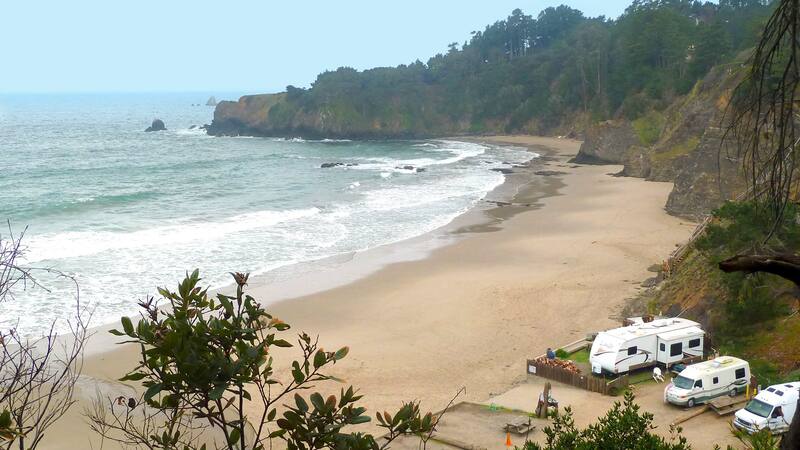 Continue westward to Bodega Bay following Highway One as it turns northward along the coast. 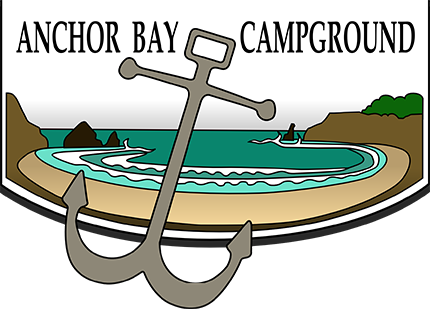 Anchor Bay is 4 miles north of Gualala. Look for our big sign on Highway One. Expect a lot of winding road, but there still is no better or faster or more beautiful route. It takes about 2 3/4 hours by sportscar from the Golden Gate Bridge to Anchor Bay. Add time for RVs, scenery, and lunch. Drive west on Interstate 80 to the Highway 37 exit to Vallejo. Stay on 37 through Vallejo to the stoplight at Lakeville Road (about 15 miles). Turn right and drive into Petaluma to make a left onto Washington Street and head west through town. This street will change names to Bodega Avenue, Valley Ford Road, and eventually merge to become Highway One. Continue westward to Bodega Bay following Highway One as it turns northward along the coast. Anchor Bay is 4 miles north of Gualala. Look for our big sign on Highway One. Expect a lot of winding road, but there still is no better or faster or more beautiful route. It takes about 4 hours by sportscar from Sacramento to Anchor Bay. Add time for RVs, scenery, and lunch.